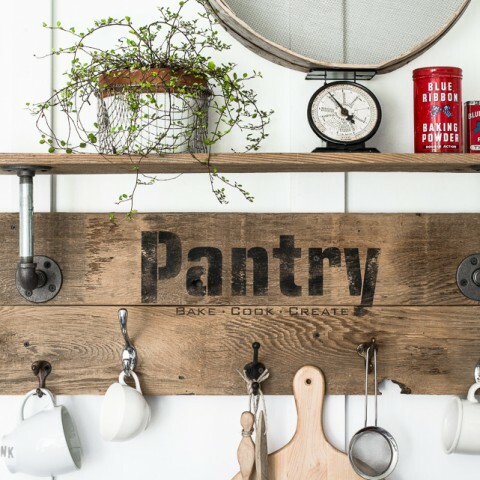 IKEA Hack- that’s right folks, this blog is awesome, inexpensive and achievable! 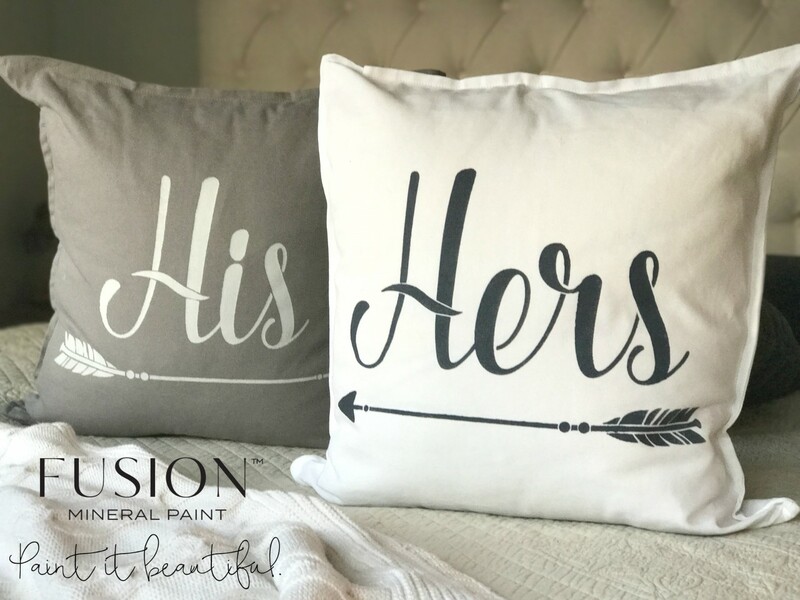 I’m going to show you how you can create your own DIY custom painted pillows with Ikea Pillow Cases. Painting fabric is by far the most satisfying wow factor once completed. It is quick, easy, and the end result is usually quite astonishing. Let’s talk pillows… I’m in pillow heaven, I mean can you really ever have enough accent pillows? No I didn’t think so… and that’s a good thing, because once you see these, you will be addicted! 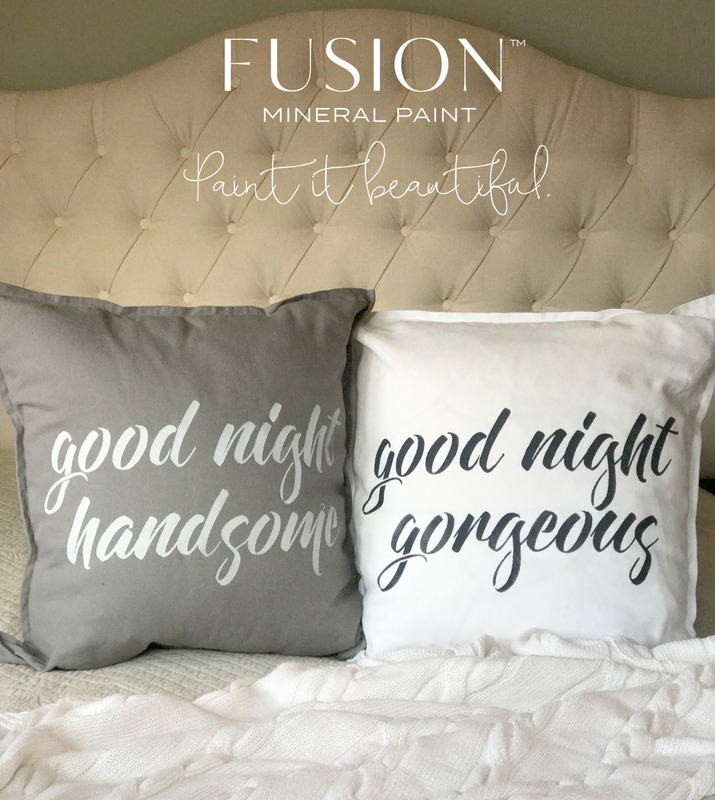 Gorgeous designer pillows can be quite expensive, however, you can easily DIY your own pillows with Fusion Mineral Paint. I wanted to create a series of pillows that would be great gifts my all my friends getting married, or cute house warming gifts. The best thing- it is so affordable. Every time I do a live demo at a Home Show or in store demo, this is my go to. 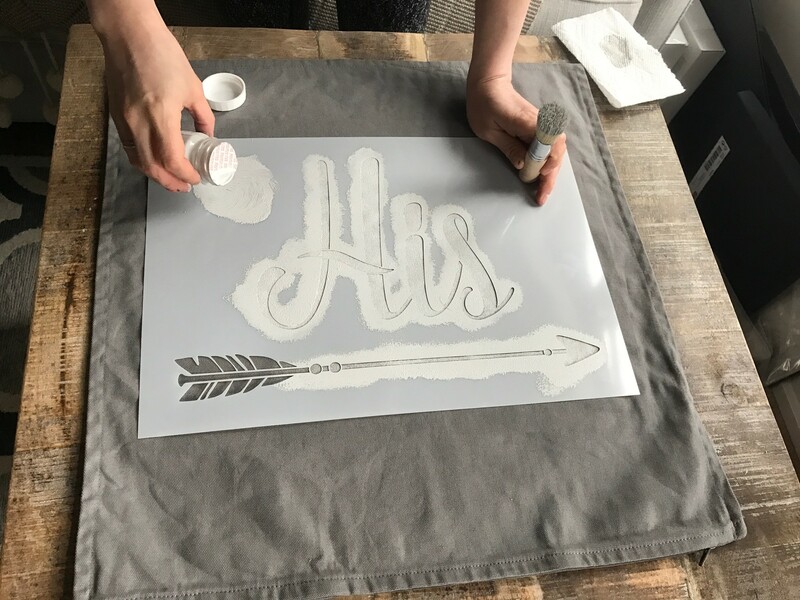 I specifically invite a brand new DIY’er up on stage and show them and everyone else in the audience that they can achieve a perfect stencil – and on fabric to boot! 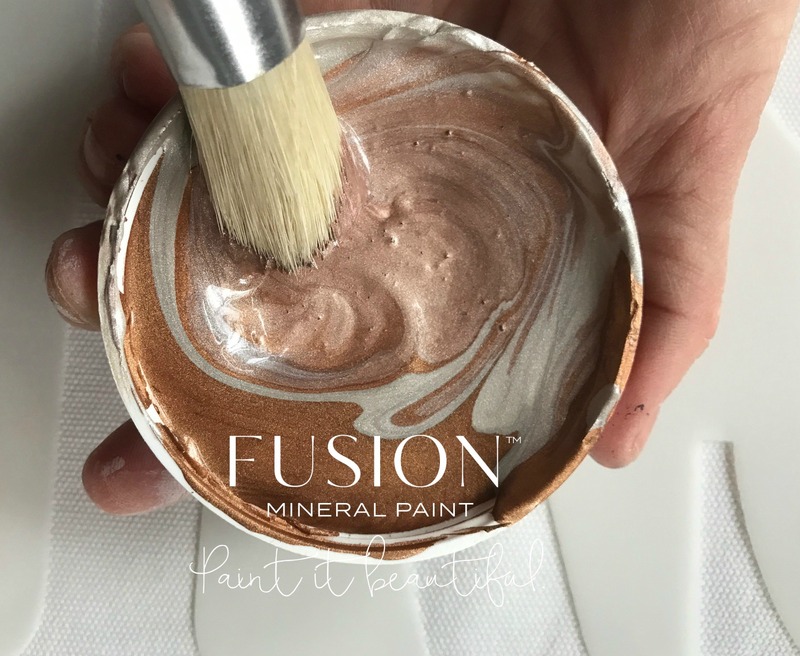 You don’t need to be a professional to achieve pro results with Fusion Mineral Paint! I promise you, you can do it! The key is, less is more! 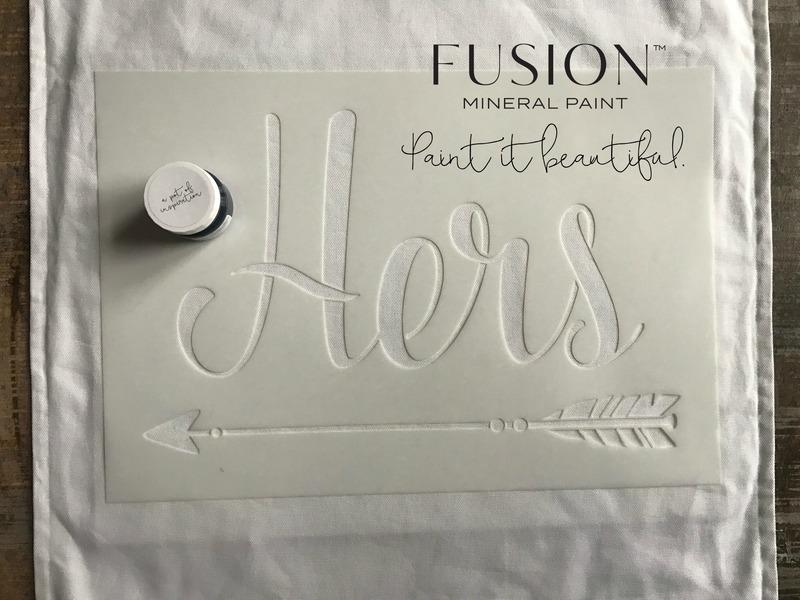 That’s right, less paint on your brush, the better and crisper your stencil turns out! 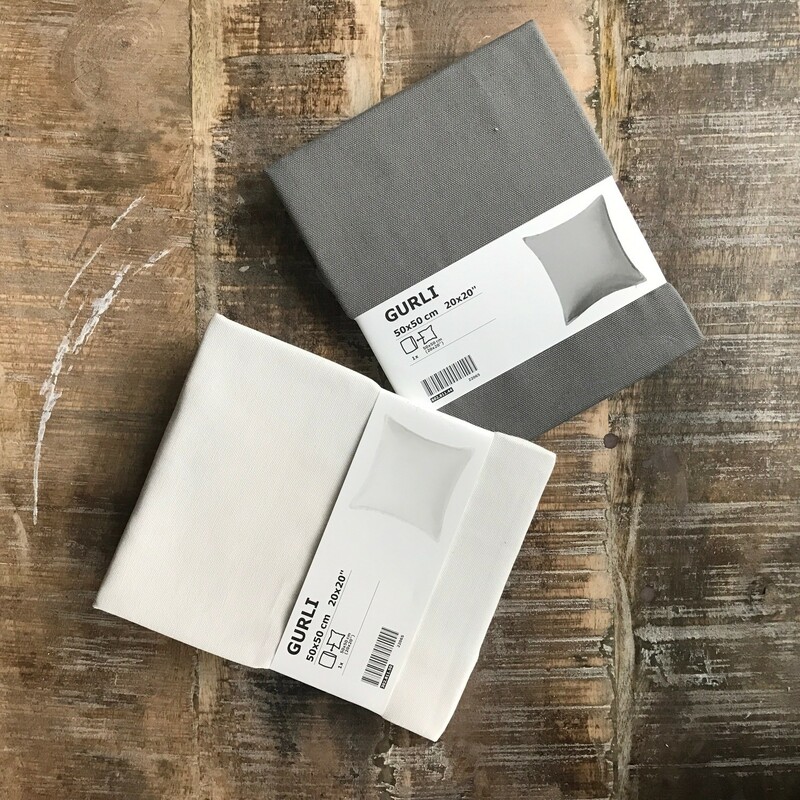 Place the stencil on your empty flat pillow cover wherever you would like the words to be. I centered mine here. Remember once you fill the pillow, the front surface gets smaller, so centering is an easy rule of thumb for safety to follow. 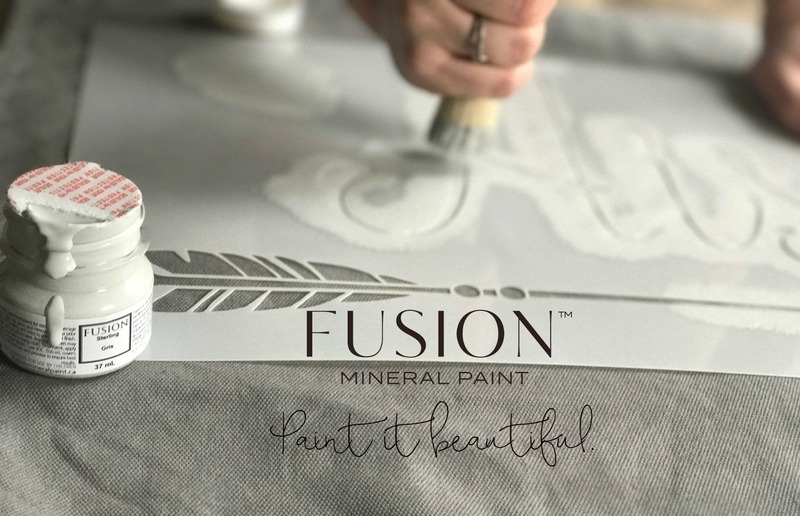 Start stenciling with your favourite Fusion Mineral Paint Colour! Remember how I said stenciling was easy, and the key is less is more! 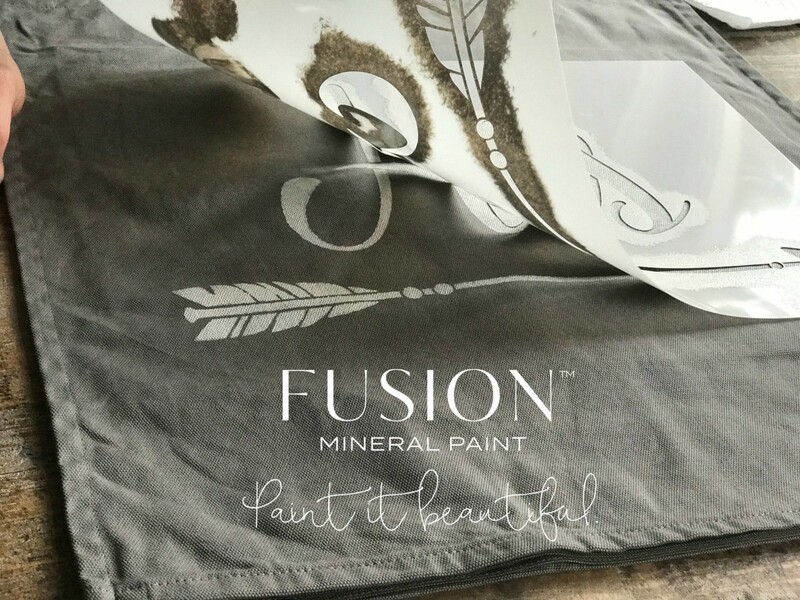 You don’t need to add any paint additives to our Fusion Mineral Paint prior to painting on fabric. Sometimes I’ll apply extra paint right onto a flat part of the stencil and work from that area as well to be able to re load my brush easily. When you get your brush wet, remove most of the paint that was on your brush onto a piece of paper towel so that you’re working with a fairly dry brush. See my excess sitting to the right there on the paper towel? Super handy! To Swirl or Dab…that is the question! 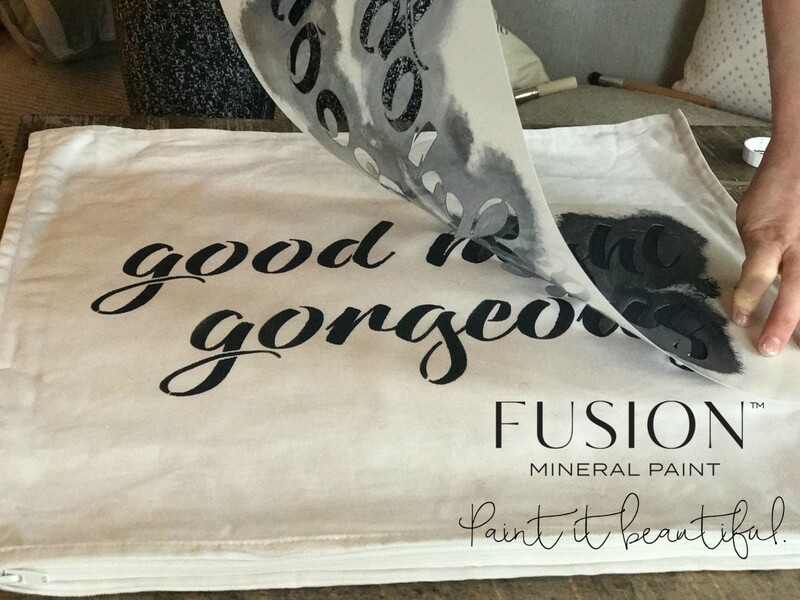 On Fabric I prefer to pounce or dab the stencil brush directly down onto the surface as I find little to no paint will leak under the stencil meaning a nice clean crisp stencil! 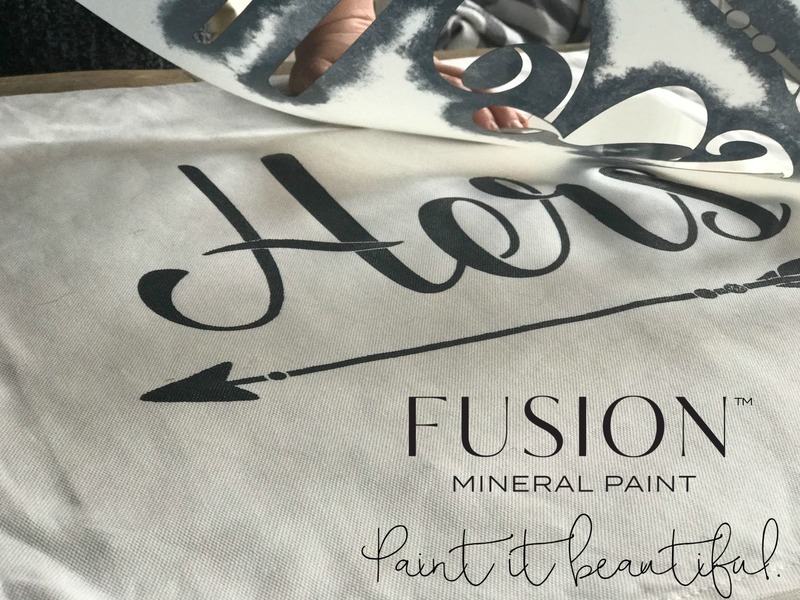 If you were to swirl, the chances are your stencil could easily move and you could end up getting paint under your stencil. I do recommend swirling if you’re on a hard surface like wood. 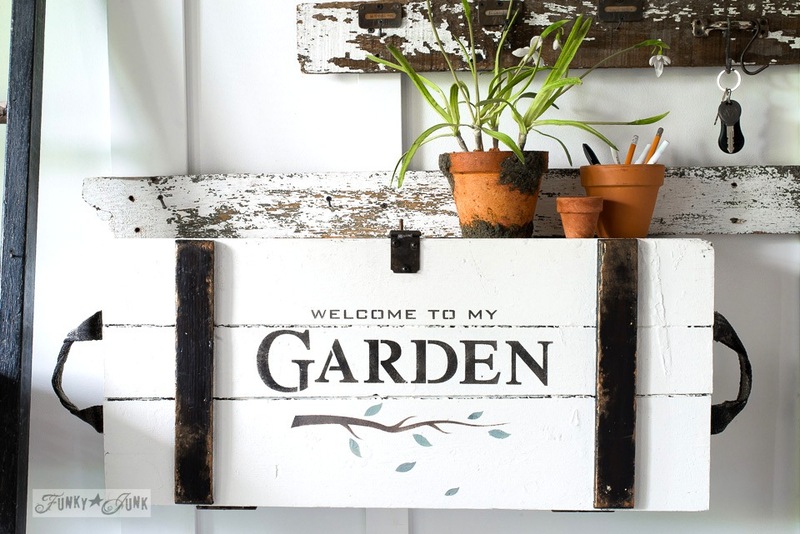 Watch my video here on Stenciling wood. 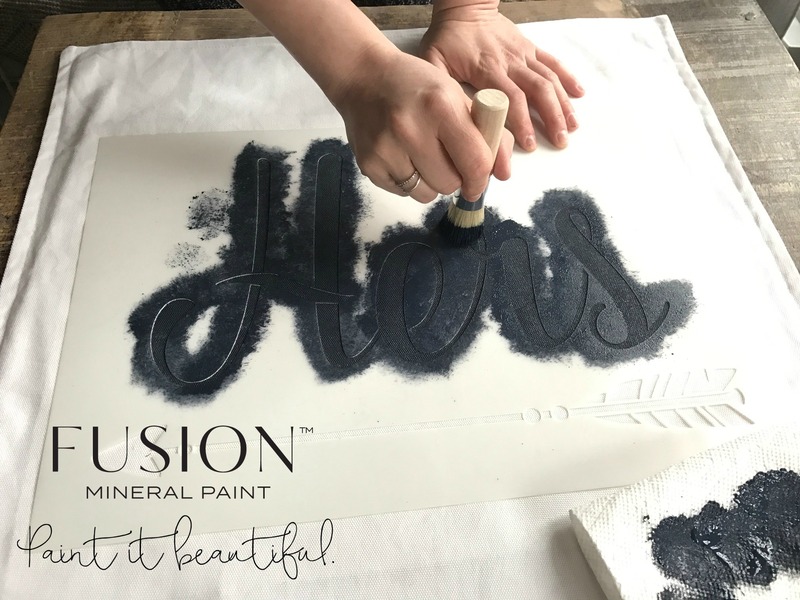 If you feel like getting creative, how about a custom colour blend? 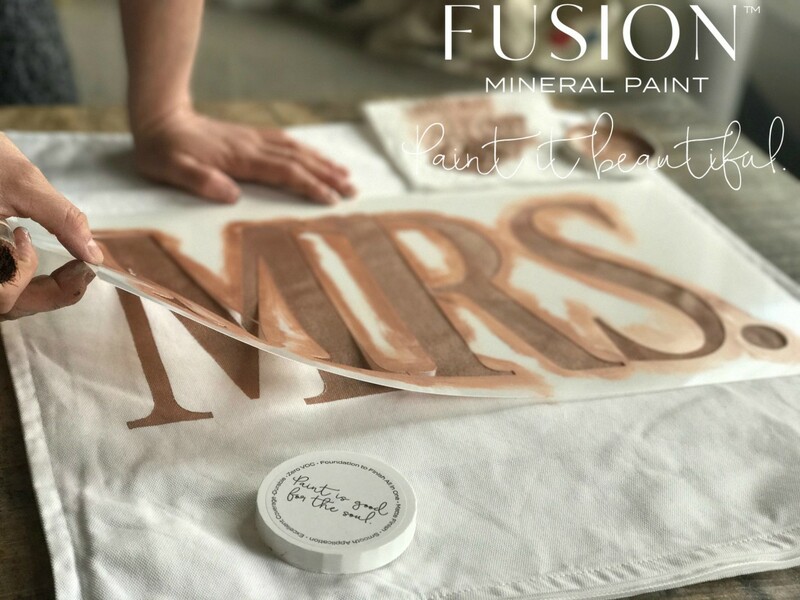 Rose Gold is so on trend, stunning and sophisticated it had to be my “Mr.s” stencil colour. 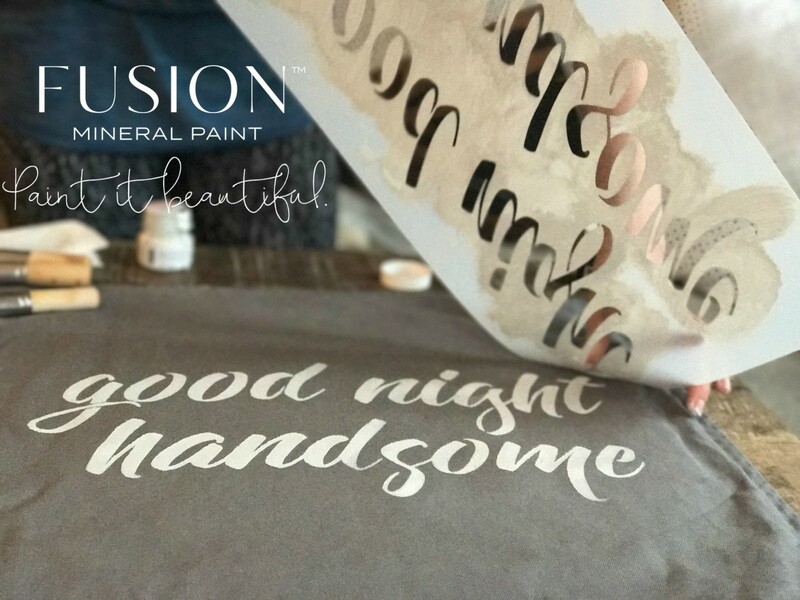 Immediately after applying the paint to your stencil, reveal your beautiful stencil by lifting it straight up and off of the pillow case. This is one of the most satisfying moments!! This colour is Sterling. Just look at how crisp they all turn out! This colour is Midnight Blue. I love using light coloured paint on dark fabric. It really stands out nicely! This colour is Sterling. Here is Midnight Blue on a crisp white background. Stunning! How does it feel? Awesome! It’s nice and smooth, not too rough. 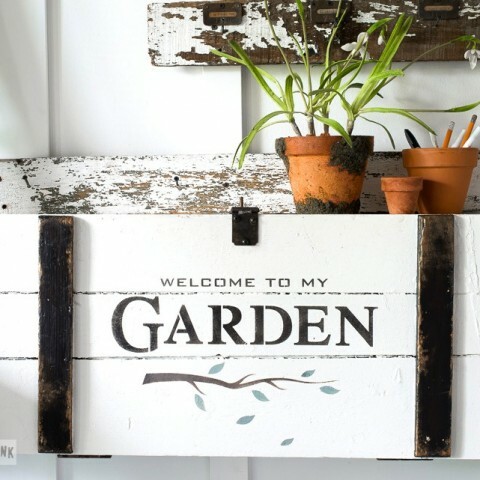 Let your paint dry for a few minutes, but it should be dry to the touch almost instantly. Is it washable? Yes! Fusion Mineral Paint, once cured after 30 days is extremely washable! 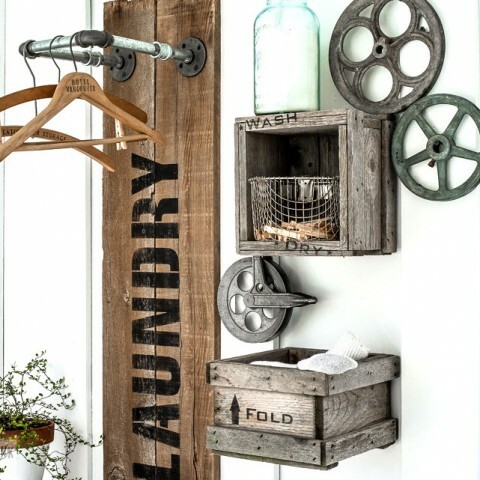 We recommend washing by hand and not with any other clothing items just in case any were to come off. Air dry. Watch my video here on how to paint fabric. My other secret is my stencil manufacturer. 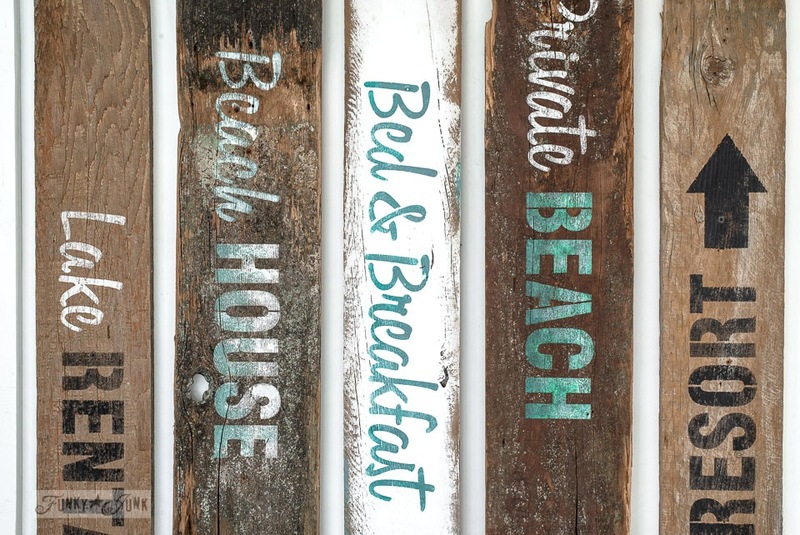 Muddaritaville Studio makes the highest quality stencils that are much thicker than others on the market. Why does that matter? The thinner stencil material doesn’t tend to stay in place very well, and you’re more apt to end up moving your stencil mid way. 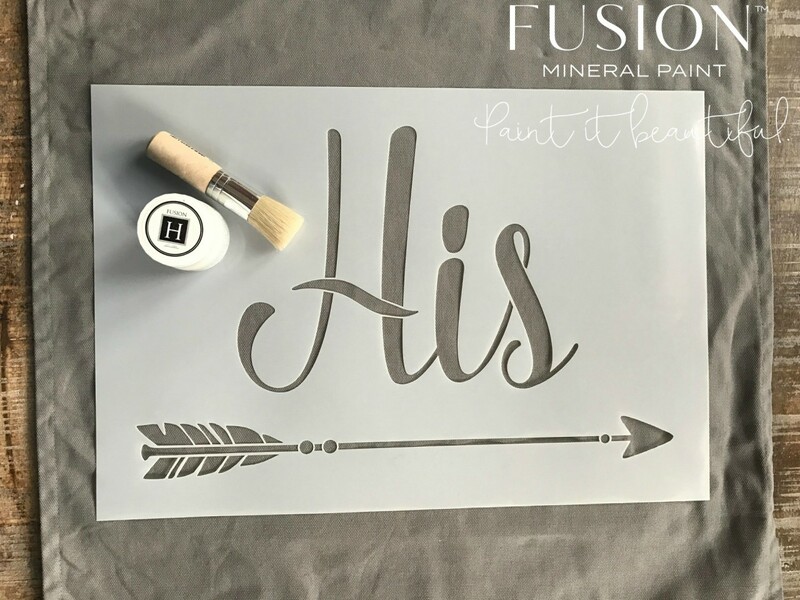 Muddaritaville Studio uses 10 mil mylar, part of my success is due to these incredible stencils, and you can use them over and over again as they won’t bend or tear! 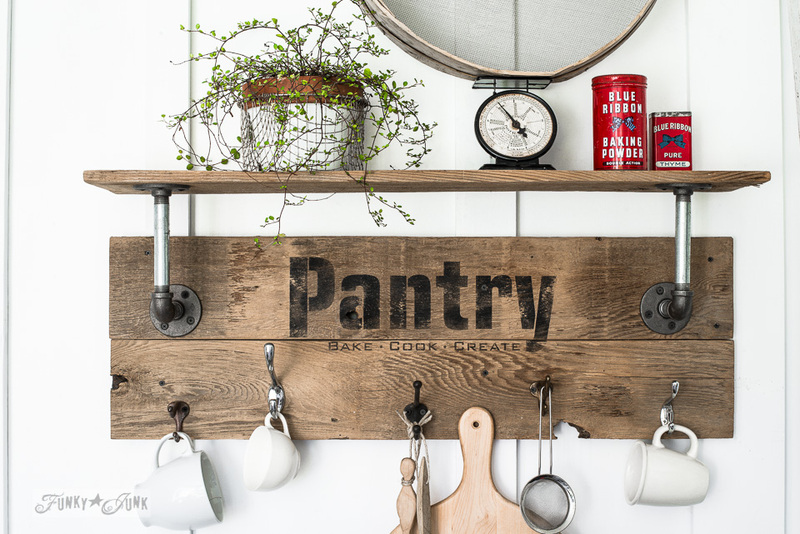 A few years back I met the most lovely Donna from Funky Junk Interiors at a Blogger Conference, Blog Podium. She was the keynote speaker! After her talk, I went up to her and we got to speaking about a line of products she wanted to create, within a few months Funky Junk Stencils was in production by Muddaritaville Studio. 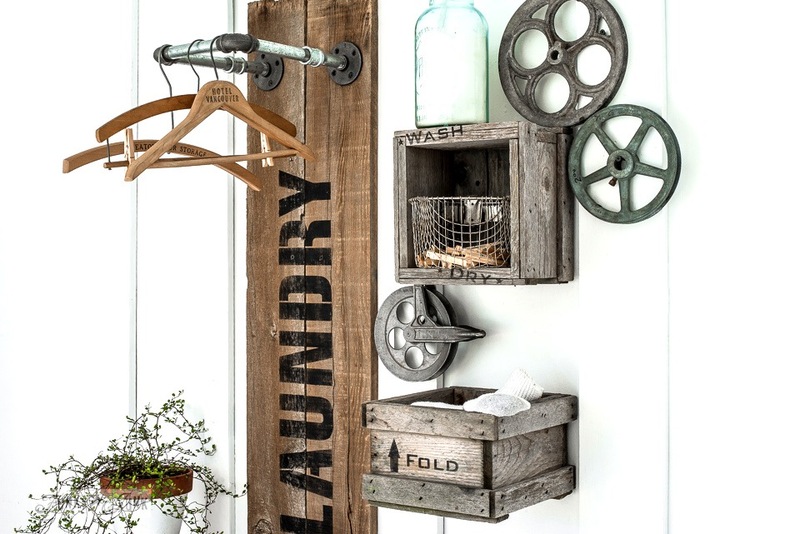 Funky Junk Stencils are absolutely gorgeous. Here’s a couple of inspiration shots for you! You can read more about how Donna and I met and toured around Toronto here! 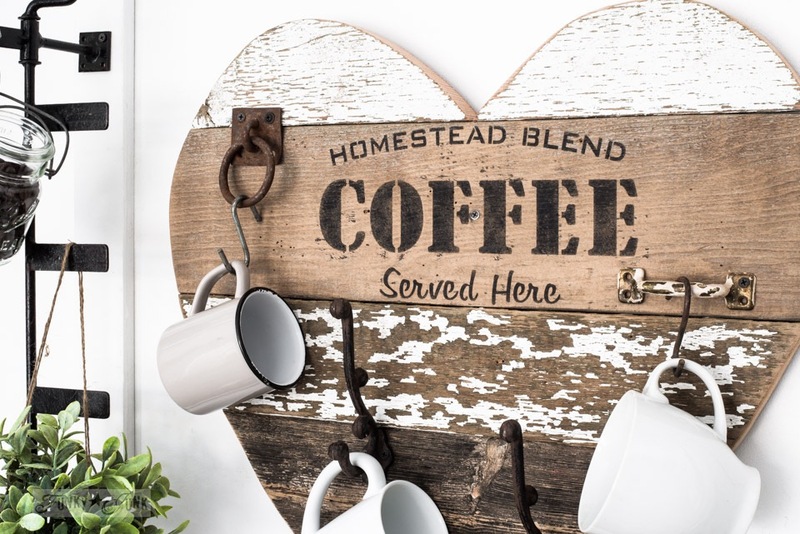 Where to buy: You can order stencils from Muddaritville Studio, Funky Junk Stencils, or our fabulous Merchants! 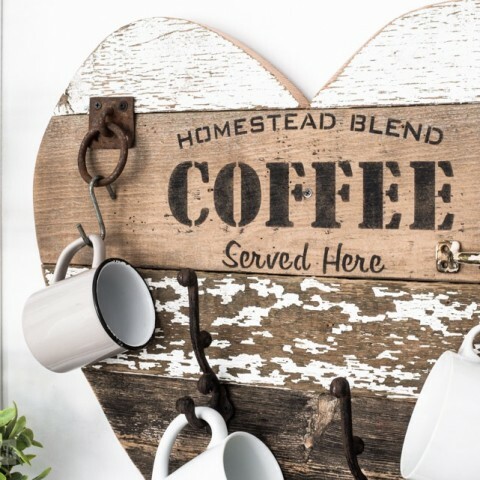 Get the full hands on experience by joining a Workshop from one of your nearest Merchants! I hoe this has inspired you to go and take a workshop and get your stencil on!